This book provides the reader with a detailed update on the use of stereotactic radiosurgery (SRS) in patients with lesions of the brain and other parts of the body. The aim is not simply to explain the application of SRS and document its value with reference to the author's own clinical experiences and other published evidence, but also to contextualize the technology within a new strategic concept of cancer care. When embedded within an appropriate conceptual framework, technology becomes pivotal in changing therapeutic strategies. A new paradigm that is increasingly impacting on clinical practice is the oligometastatic state, on the basis that long-term survival might be achieved in patients with a low volume and number of metastatic lesions. This book accordingly addresses the value of SRS in patients with oligometastases of solid tumors to the brain, lung, spine, and liver. In addition, it examines the use of SRS in patients with diverse brain lesions, early-stage stage lung cancer, liver cancer, and early-stage prostate cancer. 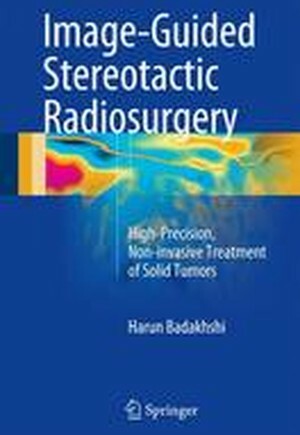 Readers will be persuaded that SRS, using cutting-edge imaging technologies to deliver precisely targeted radiation therapy, represents an exciting non-invasive procedure that holds great promise for the present and the future of cancer care. Part I: Premises and Context.- Introduction.- Conceptual context.- Methodic remarks.- Radiobiological postulates for radiosurgery.- Current available technologies.-Part II: Radiosurgery for Benign brain lesions.- Vestibular schwannomas.- Meningiomas.- Arteriovenous malformations of the central nervous system.- Pituitary adenomas.- Part III: Radiosurgery for Cancer and its Metastases.- Brain Metastases.- Stereotactic radiosurgery for lung lesions.- Stereotactic radiosurgery for metastatic lesions of the spine.- Stereotactic radiosurgery for liver lesions.- Stereotactic radiosurgery for early-stage prostate cancer.- Future perspectives.